The fans were pretty convinced that this was a direct dig at the Indian captain, who captains Mumbai's arch rivals RCB in the IPL. After picking up some big names in the recently concluded auction, Mumbai Indians seem far more relaxed and will be keen to challenge for the title strongly in 2019. Their social media handlers try to ensure they keep in touch with the fans on a regular basis and they time and again stay active on all platforms, just the way other major sporting teams do. They recently trolled Tim Paine brutally after he failed to live up to MI skipper Rohit Sharma’s challenge. Rohit had said that he’ll suggest Paine’s name for selection to the MI hierarchy if he gets a century at the MCG, which he failed to do so. Their Twitter handle was quick to pounce and trolled the Australian skipper for not making it to the Mumbai squad. Once again they are in the spotlight, but this time, the fans are unhappy with one of their posts. This has been one of the most iconic series in Indian cricket history with everyone chipping in with a crucial contribution. This series, in particular, has been memorable for Rishabh Pant and Cheteshwar Pujara, who formed the team’s crux. With his titanic 159* run knock, Pant now has 350 runs in the series. Before this game, he got a start in pretty much every innings, registering scores of 25, 28, 36, 30, 39 and 33. He also surpassed captain Virat Kohli’s tally of 282 runs in the series and the MI Twitter handle was quick to mention that. The whole premise of this post remained a mystery, but it was clear that they just mentioned the stats without demeaning either. But the fans were pretty convinced that this was a direct dig at the Indian captain, who captains Mumbai’s arch-rivals Royal Challengers Bangalore in the Indian Premier League (IPL). While some fans took a sarcastic dig at the franchise, few took it a little personally and slammed them. Here’s how Twitterati reacted to this statistical comparison. It doesn't mean that Pant is better player than Virat. Rishabh bhai ka career start hone se pehle hi end na ho jaye !!! 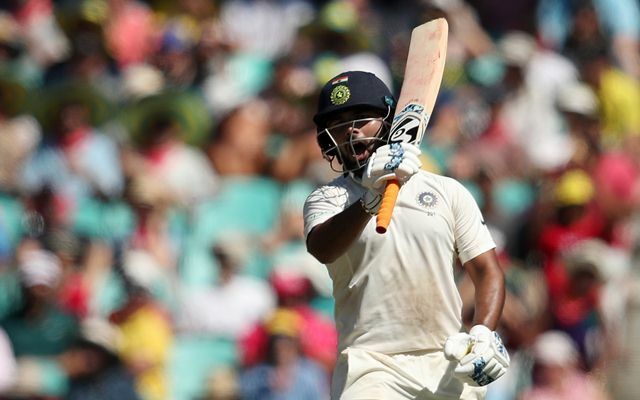 Believe me or not @RishabPant777 has more run in that test which @ImRo45 played in Adelaide and melbourne. you forget to post this.